For completion of the 8.5 km stretch from Ameerpet to Hitech City in Corridor III (Nagole-Hitech city – 27 km) by June next year, Municipal Administration and Urban Development Minister KT Rama Rao’s gave instructions. 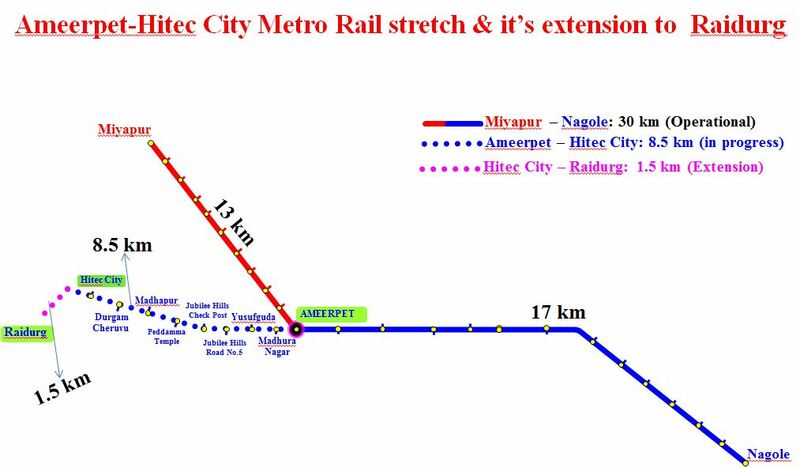 Hyderabad: Work on extension of the Metro Rail from Hitech City to Raidurg completing the much awaited Ameerpet-Hitech City stretch of the Hyderabad Metro Rail, and will commence next week. 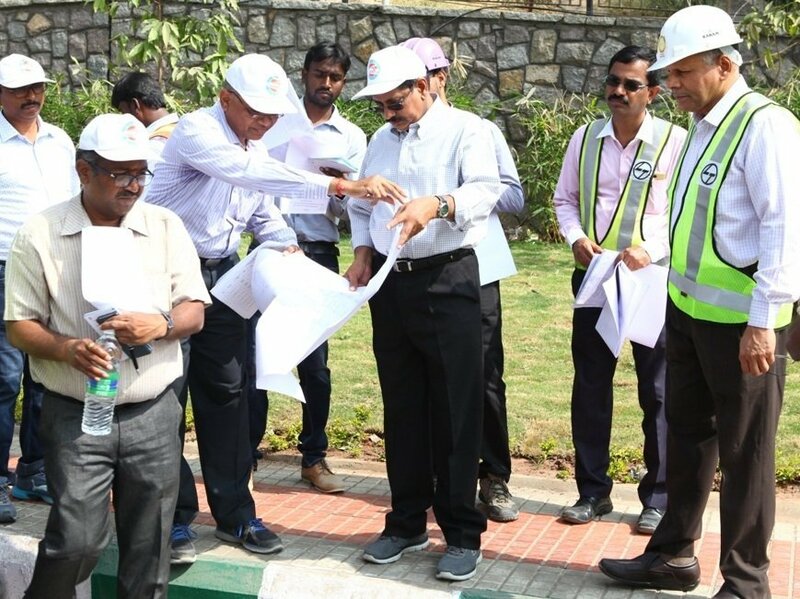 The point to point inspection of the stretch over the last two days, apart from inspecting the modalities of the Metro’s 1.5 km extension up to Raidurg was carried out by Hyderabad Metro Rail Limited (HMRL) managing director NVS Reddy. While inspecting the stretches along with HMRL officials, police and engineers of L&TMRHL, Reddy first resolved the issues pertaining to the remaining five pillars in Yousufguda. Mr. NVS Reddy said that to take up the pillars in Yousufguda initially on the left hand side where the five-storied Hero Honda building is under demolition. Issuing directions to ensure that traffic movement was not disrupted, Reddy wanted the remaining 21 spans of the viaduct in Yousufguda Basti, Krishnanagar Transtroy building and Sirisampada Apartments in Jubilee Hills to be completed by January end. This would enable track, electrical traction and signaling works to be taken up and completed by June. He has also directed the Town Planning, Police and Land Acquisition wings of HMRL to facilitate construction of the remaining few entry/exit points of Peddamma temple, Madhapur and Durgam Cheruvu Metro stations. He also asked them to complete it in two years against the normal expected time of three years.The 1.5 km extension from Hitech City station to Raidurg Station also involves erection of 49 pillars. The 1.5 km of viaduct and the Raidurg Metro terminal station. While Inspecting all the pillar locations along with Cyberabad Traffic police, L&TMRHL Project Director MP Naidu and other structural engineers, Reddy finalized the exact location and type of foundations for all the pillars and the Raidurg station design as well.